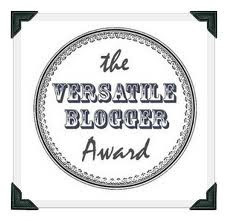 I have been nominated for the Versatile Blogger's Award by Lisa of Lisa's Nail Obsession. Thank you so much for this award. It is my 4th Blog award and I am so happy to get it and it sure is getting a place of honour here too. - Nominate 12 fellow bloggers that are relatively new to blogging. - Add the versatile Blogger Award to your post. I have obeyed the last 2 rules already and now I move to the others. Please permit me to skip the first two for now, I promise to come back to it and nominate 12 new bloggers who I believe deserve to be nominated for this award. 1. My dad is a pastor. A lot of people know this and a lot don't know this as well. The reaction I always get when I tell people is "No wonder" and it always baffles me. 2. I was a member of 3 hip-hop dance groups. Lol, when you see me now it is so hard to believe because I have added loads of weight and I am not fit again. 3. I can't go shopping, the movies, a gym or a restaurant by myself. I have a knack for doing things alone inside the house but when it comes to going out and having fun, I usually pause, have a rethink and just go back into the house. 5. I almost left my job to be a makeup artist at a studio 2 years ago. Thank God I didn't because I don't think I would have had time for blogging, social networking (which has led me to meet some of the most wonderful people ever) and personal branding. 6. I love a good lazying around day with food, Television and nothing. 7. I am constantly on the search to loosing weight. Thank you for your reply Chuqqie. I have taken it out and yes you better believe it I am a shy person, lol.